I will review Gust’s new title on three parts, starting with this tie-in manga. It was released before the game, so I thought it would be appropriate to give a look at this prequel first. So, I had to make a post about this manga just because how freaking weird it is! 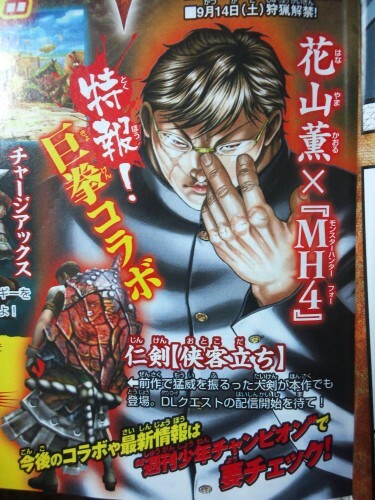 The new Monster Hunter 4 will have a collaboration with famous manga series “Baki“. 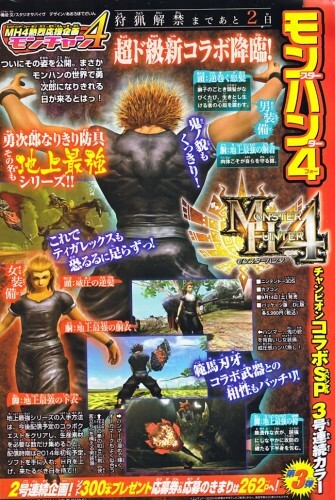 Therefore, two set of clothes will be sold for hunters to cosplay as Hanayama and Yujiro (strangely enough, it will be avaliable for both genders…). Nowadays is a rare phenomenon when a manga gets an anime adaptation, it’s even more rare when this is a shoujo manga. This is such a case to “Super Seishun Brothers” (Super Youth Brother). 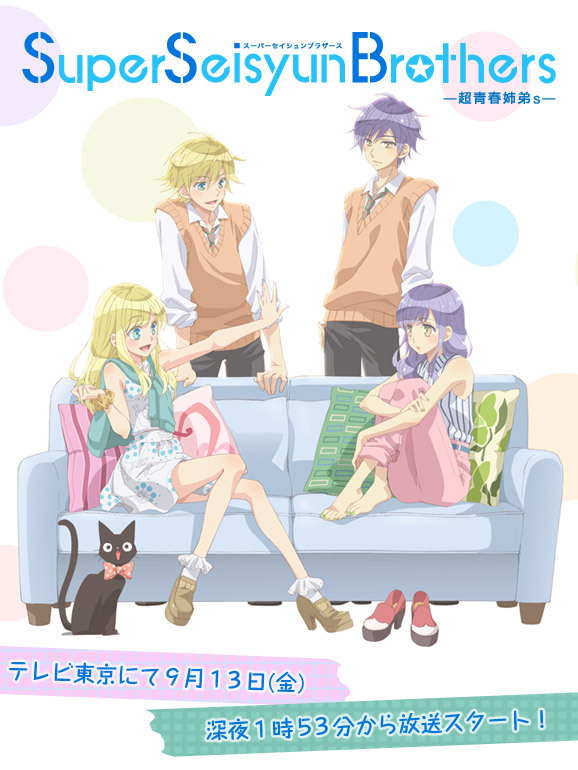 It seems to be about two couples of bracon/siscon siblings. 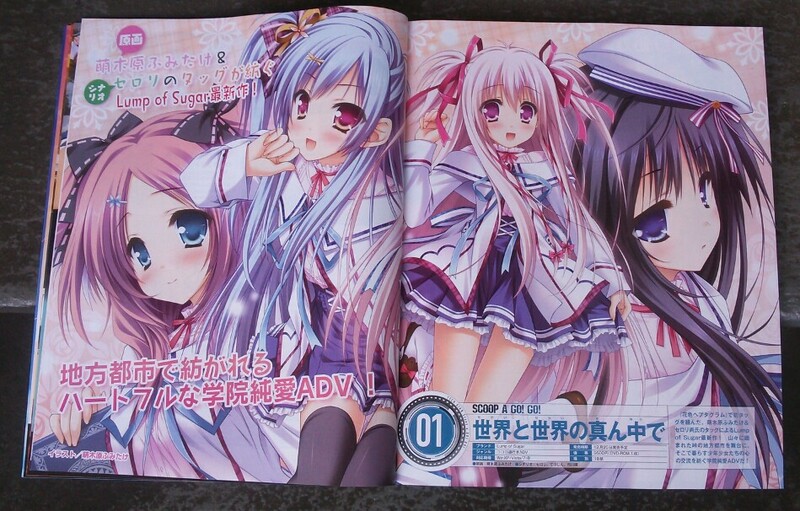 There are new games coming from big companies soon: Lump of Sugar has “Sekai no Sekai no Mannaka de” (Between Two Worlds), there is a imouto, an energetic girl, a quiet girl and “slow-paced” kind girl. It’s schedule for a December 20 release. Frontwing decided to attack with a Kawaii-type Galge (maybe a Nukige?) Innocent Girl, It will be released only on February 28, 2014. 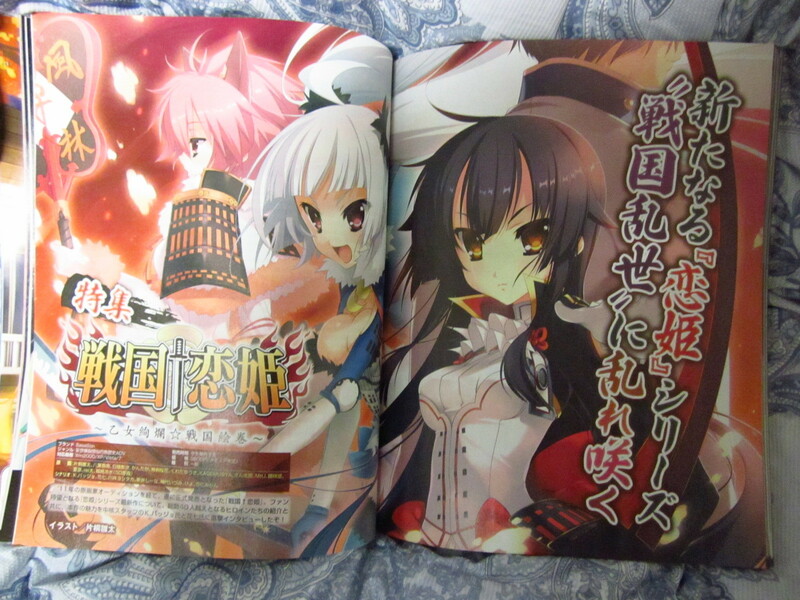 Meanwhile, more info was given for BaseSon’s new Sengoku†Koihime, but with no release date.